You may remember the dress I upcycled and wrote about last week. 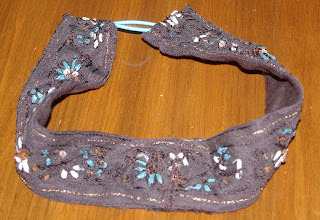 It was long sleeved and had these beautiful cuffs on it. I simply couldn't toss them away. They became a hair tie at first and now a headband. It's a much better headband than it was a hair tie. It was a bit too wide and heavy for the hair tie. 1. Remove the cuffs from the garment. (Fray check raw edge if necessary.) Remove buttons. 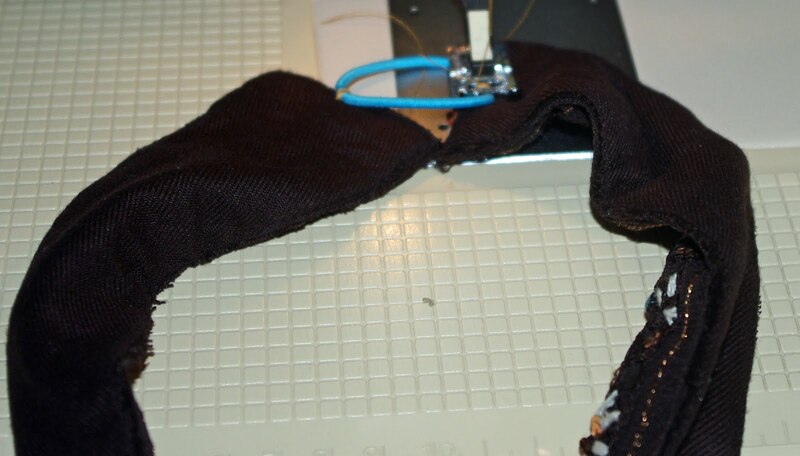 The button holes will be concealed under your hair. 2. But the (button) ends together and stitch. I used a zigzag stitch and went over it twice. 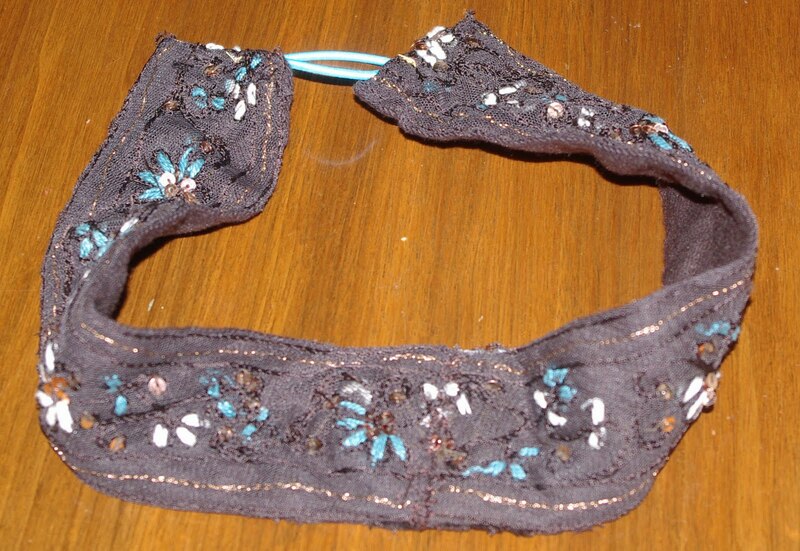 If your cuffs are slippery, you may want to handstitch (to hide the stitches) or glue velvet ribbon to the wrong side of the headband. This is keep it in place and eliminate slipping. 3. Stitch a hair elastic to the wrong side of one end of the headband. I used a zigzag stitch. 4. 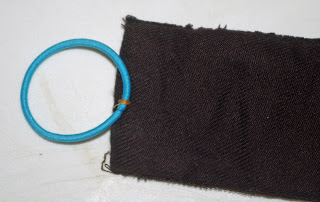 Stitch the hair elastic to the other end of the headband. Make sure not to twist the headband. The next time you find an item at the thrift store with cute cuffs...well you now have a use for them. PS. For those of you following my back/muscle issues and grain-free diet progress, I started the grain-free diet yesterday and am doing well. Two weeks ago I saw a Rheumatologist and thankfully, no RA. I see a Physical Medicine and Rehab. specialist this coming Monday. Thank you for your prayers and advice.